Your first visit to our office establishes a vital foundation for our relationship with you. During the first visit, we make sure to obtain important background information, including all aspects of your medical history, and give you time to get to know our doctors. To understand what to expect for your first visit to our practice, please read through this page. You will find all the practical information you need, such as a map and directions to our office, business hours and patient forms. 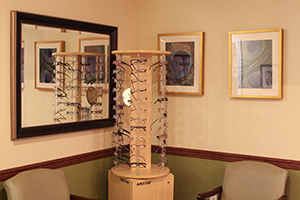 Our mission is to help our family of patients see great till 98 and to provide the highest quality ophthalmology services. 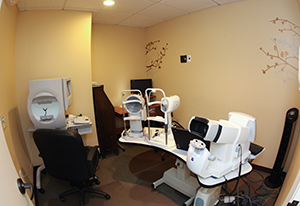 From general eye exams to the most complicated surgical procedures, Alden Leifer, MD and Associates is dedicated to the well-being of all our patients. We take the time to discuss all findings, diagnoses and treatment options and are more than happy to answer any questions you may have. Appointments may be arranged by calling our office. When you call our office for an appointment, briefly explain your eye problem to the receptionist so that the proper amount of time can be allotted for your appointment. Depending on the type of problem you have and the kind of appointment you have made you should expect to be in the office for anywhere between 30 to 90 minutes. Often, for annual complete exams, diabetic exams, in addition to certain emergency exams such as new onset of floaters, injuries, etc. your pupils will be dilated with eye drops. Because your eyes may be blurry from the eye drops, it is safest that you bring a driver for your return home from the appointment. We will discuss the results of your exam with you, explain available treatment options and answer any questions you might have. Please print out these forms and fill them out prior to your visit with us.